Is Your Lack of Qualified Prospects Hijacking Your Revenue Goals? 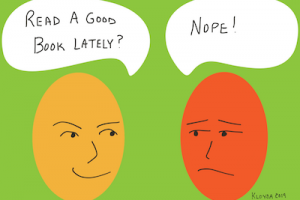 Let’s face it, sales don’t happen until you get in front of the prospect. The biggest challenge that every salesperson faces is getting the prospects’ attention. With relentless video marketing, social media ads, ridiculous amounts of time spent in corporate meetings and time-taxing projects all competing with you for your prospect’s attention, how can you possibly get your foot in the door? Answer: You must be unique, creatively get a prospect’s attention, and solve his or her problem better than anyone else. Period. 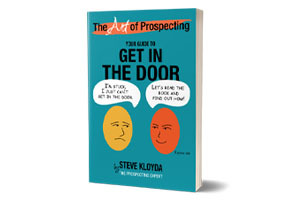 As founder of The Prospecting Expert, Steve Kloyda will show you and your sales team how. He teaches sales professionals how to attract more prospects and win more business. Granted, the “old” way of selling is dead, yet prospecting continues to be the foundation of all successful business – driven by successful sales. Steve’s keynotes, workshops, webinars, podcasts, group and one-on-one coaching programs offer unique, relevant, current and effective strategies to support sales prospecting efforts for both new and veteran salespeople. Steve has mastered sales prospecting. Combining his innate creativity, industry knowledge, and hands-on experience from the last 35 years, Steve’s proven prospecting approach will assist you and your sales team to creatively get in the door and drive more sales. ACT NOW! Connect with Steve today to get started on your best year as a sales professional! Do you know how to identify what is important to the prospect? Let’s face it, nothing happens until you get in front of the prospect or customer. The biggest challenge that all salespeople face is getting the prospects’ Attention!